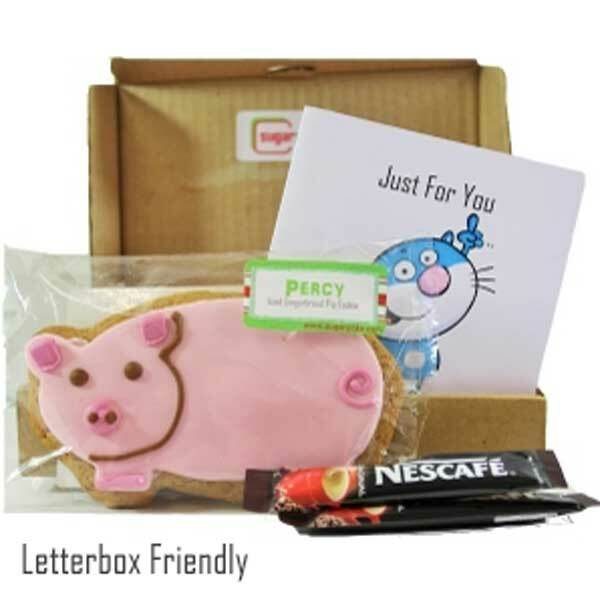 A cute and happy sugarpoke with an added bonus of some delicious energy boosters with the chunky pink piggy and coffee sachets. Great for anyone at anytime, this also makes a lovely get well gift to give them the little boost that they need! A perfect treat for Father's Day, a Get Well Gift, to say thanks to someone, a treat to remind someone to put their feet up, or just because you care!